U21 League. 6th round. August 27, 2016. Bucha. Yuvileynyi stadium. Att. 200. 27 degrees. In preparations for the game against Stal Valeriy Kryventsov could not count on Taras Kacharaba, Mykola Matvienko, Ihor Kiryuhantsev, and captain Oleksandr Pikhalionok. They were with the Ukraine U21 team, which had a 3-day training camp in Kyiv. Nevertheless, all these players were in the starting eleven. There were changes in the centre-back and midfield. 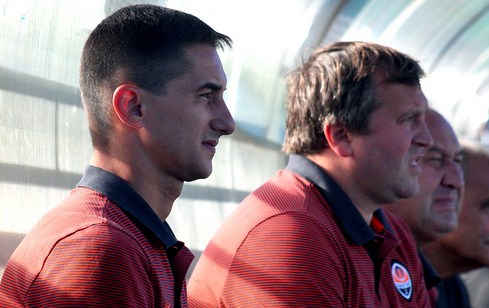 Thus, Mykyta Bezuhlyi was fielded instead of Danylo Sahutkin, and Yurii Hlushchuk replaced Viacheslav Tankivskyi. The debut of the match turned out equal. Both teams tried to mount quick attack, with the ball never staying too long in the midfield. Giorgi Arabidze was the first to trouble the Stal's goalkeeper. 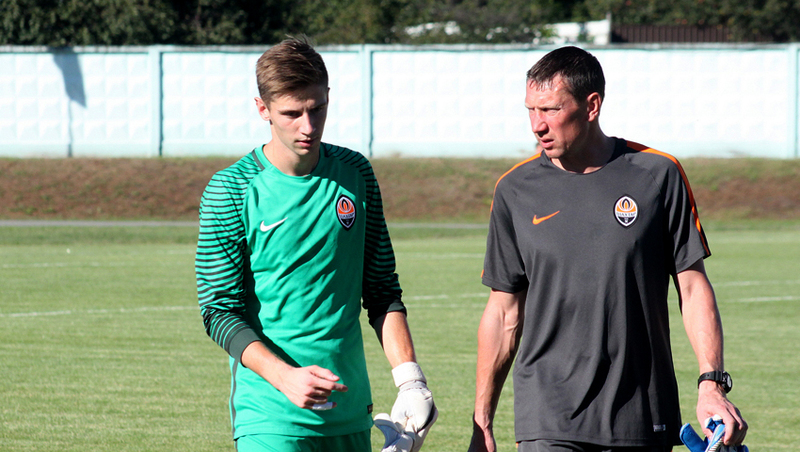 Through individual play, he got rid of his cover and made a precise attempt in the corner, but experienced Oleksandr Bandura made a save. The next chance to open the scoring was also created by Arabidze. He beat his opponent and made a cross along the goal but there was no one to complete it. In the 14th minute Mykyta Adamenko had a good opportunity to distinguish himself: his shot at an acute angle hit the keeper and Pikhalionok's attempt to finish hard but in the direction of Stal's keeper. For a while the Pitmen seized the initiative, but the Kamianske team made a dangerous counter on 28 minutes. After a pass from his partners Bohdan Kushnarenko came one-on-one with the keeper, but Oleh Kudryk demonstrated a great game, coming out in time to intercept his opponent. In the end neither team distinguished themselves before the half-time break. The game pattern has not changed, with both teams trying not to hold the ball in midfield, bringing it towards the opponents' goal as quickly as possible. The Orange-and-Blacks succeeded more in this having threatened the Stal's goalkeeper twice in the starting minutes of the second half. 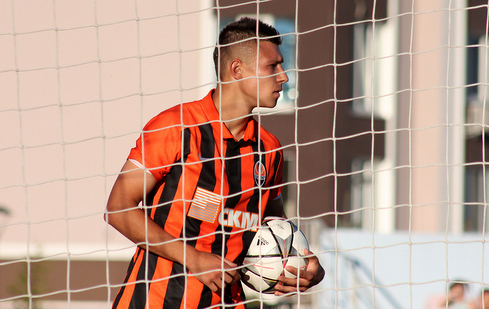 Hlushchuk made a dangerous header, and later Oleksandr Zubkov made a long range attempt which was unsuccessful. However, on 59 minutes, the Donetsk team scored an opener. Adamenko approached the home team's goal and hit past Bandura. This ball became Mykyta's sixth this season - he has scored in every match since the start of the season. On 65 minutes, Valeriy Kryventsov made the first substitution fielding Mihunov in the place of Arabidze. And it was Oleksandr who could soon change the numbers on the scoreboard, but coming at the Stal's gate at an angle could not beat the goalkeeper. On 70 minutes, the Kamianske team were left one man short: rough play cost Mykola Pavliuk a second yellow card. The Pitmen played according to the score until the final whistle, trying to control the match. In the 87th minute, the Orange-and-Blacks conducted a fast attack, which was started by Adamenko, continued by Matvienko and finished by Boiarchuk who shot the ball into an empty goal. Just a minute later he made the score big, with a beautiful volley over the Stal's keeper. As a result, the Pitmen have a confident win 3-0, although the game itself was not easy. 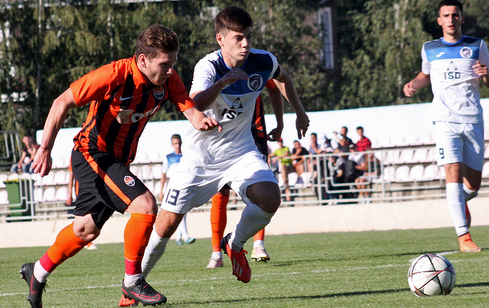 In the next round Valeriy Kryventsov's squad will meet with Dynamo. FC Shakhtar's official channel on Telegram. Follow the U21 and U19 teams (news, match line-ups). - The game was not easy. The rivals were tactically competent, and were on par with us in many elements. Stal had a good start in the league, achieving a draw with Dynamo Kyiv (1-1), and now the game rather even. We congratulated our guys after the game, but told them that the tactical elements related to regrouping on the field, definitely need improvement. And this is what we will be doing next week, because there are difficulties in understanding. After all, we have a group of players, working with the first team, which practically does not take part in our training process, there are the other guys. Our task now is to connect them, to have one common vision.